Morrison Remick Waite served as chief justice of the U.S. Supreme Court from 1874 to 1888. Waite's rise to national prominence came unexpectedly. Although a distinguished lawyer in Ohio, he had never argued before the Supreme Court. Nevertheless, in 1871 he was asked to represent the United States in post–Civil War claims against Great Britain, and his success brought him widespread acclaim. On the strength of this reputation, President ulysses s. grant nominated Waite to lead the U.S. Supreme Court. His performance there, however, never won him the same praise. Waite's business decisions provoked the ire of powerful interests, and twentieth-century critics have condemned his limited view of Civil Rights. 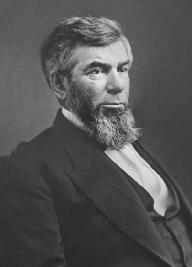 Born on November 29, 1816, in Lyme, Connecticut, Waite was the son of a successful attorney and jurist who was the state court's chief justice. Educated at Yale University, Waite graduated in 1837, studied law under his father, and then was admitted to the Ohio bar in 1839. Over the next decade, he split his time between legal practice and politics. He was elected to the Ohio legislature in 1849 as a member of the Whig Party, and later helped to form the state's branch of the Republican Party. By the late 1800s, Waite was quite successful. He had built two law firms and enjoyed prominence within Ohio. Yet because he had no significant national reputation, he was surprised when, in 1871, he was chosen for a task of national importance: representing the United States in its post–Civil War Arbitration with Great Britain, better known as the Alabama claims. The United States charged that Great Britain had aided the Confederacy by supplying warships during the U.S. Civil War, and it sought to recover damages at the 1871 Geneva Arbitration Council. Waite and his two colleagues succeeded spectacularly, winning a $15 million settlement. At home, they were showered with acclaim. Two years later, Waite added to his growing reputation by serving as president of the Ohio Constitutional Convention. "For protection against abusers by legislatures the people must resort to the polls, not to the courts." Upon the sudden death of Chief Justice salmon p. chase, President Grant looked unsuccessfully for a replacement before turning to Waite. Grant's administration had not fared well; choosing one of the heroes of the Geneva victory appeared fortuitous. Although Waite had no experience before the Supreme Court, he accepted the appointment and overcame long odds against success. His status as an outsider and the presence of a strong-minded group of associate justices did not deter him from administering the Court effectively. In outlook, Waite was a supporter of States' Rights. He usually favored state power to regulate business and determine civil rights. Yet both in his time and afterward, his decisions have drawn condemnation. In munn v. illinois, 94 U.S. 113, 24 L. Ed. 77 (1876), he upheld an Illinois law that imposed charges on the owners of grain elevators, asserting that such regulation was proper in areas "affected with a public interest." This position provoked fierce criticism from powerful business interests. Waite's reputation also suffered posthumously in the wake of the twentieth century's embrace of civil rights. His decision in Minor v. Happersett, 88 U.S. (21 Wall.) 162, 22 L. Ed. 627 (1874), allowed states to deny women the right to vote. Waite held that voting privileges were a right of U.S. citizenship and stated that the Fourteenth Amendment to the U.S. Constitution did not confer additional Privileges and Immunities upon citizens. In United States v. Cruikshank, 92 U.S. 542, 23 L. Ed. 588 (1875), Waite set aside the convictions of white men who had taken part in the killing of more than one hundred black men in the 1873 Colfax Massacre, which followed a disputed election. Always concerned about the encroachment of federal power, Waite ruled that their indictment under federal law was faulty; such cases, he said, belonged in state courts. But state courts in the post–Civil War South were unlikely to prosecute such cases, and rather than leading to prosecutions, the decision only encouraged more bloodshed while dealing a blow to Congress's plan for Reconstruction in the South. In appraising Waite's Jurisprudence, twentieth-century critics have been harsh. They have criticized his narrow interpretation of the Fourteenth Amendment as a repudiation of the intent of the amendment's framers. In defense, some observers have noted his valuation of state power to regulate the economy. He died on March 23, 1888, in Washington, D.C.
Aynes, Richard L. 1993. "On Misreading John Bingham and the Fourteenth Amendment." Yale Law Journal 103 (October). Magrath, C. Peter. 1963. Morrison R. Waite: The Triumph of Character. New York: Macmillan. Stephenson, D. Grier, Jr. 2003. The Waite Court: Justices, Rulings, and Legacy. Santa Barbara, Calif.: ABC-CLIO.